This map offers an overview of the nebulous but very real system that transported fugitive slaves to freedom and relative safety in the Northern States and Canada. Map Image: 31" x 21"
Description: Stretching from Eastern Nebraska and Kansas to North Carolina and Maine and up into the British Possessions and Canada, the routes of the Underground Railroad are documented and graphically reproduced. 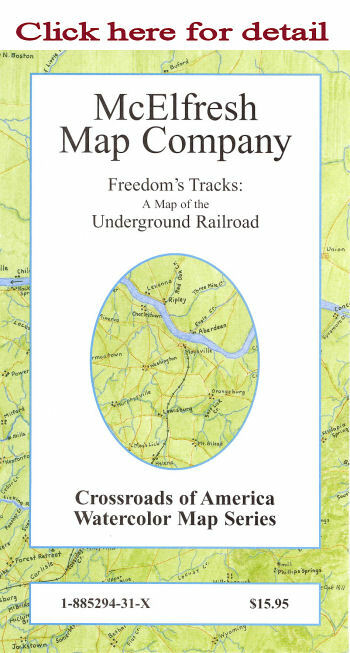 Photographs of certified Underground Railroad "stations" and detail maps of the most prominent places and episodes of the Underground Railroad are included.